As a B2B organization, you need to constantly attract new clients. But in an industry as competitive as digital marketing, standing out in the crowd can be difficult – whether you specialize in web design, SEO, social media, email, PPC, content or a little of each. • The key challenges facing marketing agencies and consultants, and how to handle them. 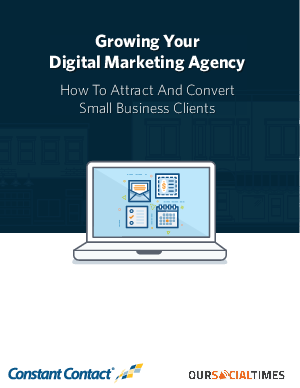 • How to position your agency to attract qualified leads. • How to impress prospects and convert them into long-term, high value customers.